Tetris Mania is an interesting puzzle game. You can drag these blocks, fill the grid, form a row or column. You have to get the score in a limited time, or you will lose. There are a lot of levels, so let’s get to the challenge. Have fun. Use the mouse to play. 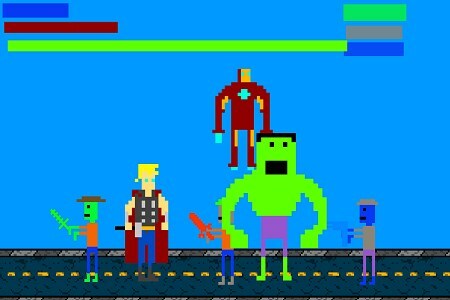 vingadores vs zumbis uma luta lendária. Setas movimentam os vingadores.Espaço, atira com o thor.CTRL atira com o homem de ferro.Cima hulk pula.